The directors of Leeds United Football Club have often been accused of making mistakes when appointing managers. In the modern era, Brian Clough and Jimmy Adamson were obvious examples, but even in the far off past they have had failures. Willis Edwards after the War was an obvious case in point, but when they declined to extend the five year contract of Raich Carter at the end of the 1957-58 season, their choice of replacement was even more disastrous. They turned to trainer Bill Lambton, whom Carter had drafted in as coach the previous November, offering him the role on an acting basis, presumably while they cast around for a more permanent successor. The move was an ill considered and Lambton's time at the helm was a dismal period for the club, although he can take the credit for signing both the teenage Billy Bremner and 31 year old Don Revie, two men who were to have a major part to play in the history of Leeds United Football Club. Bill Lambton was born in Nottingham on 2 December 1914, he became a goalkeeper first with local club Basford North End and then joined Nottingham Forest between the wars, although he was of only limited ability and never made a mark of any kind. During the Second World War, Lambton moved to Exeter City and then on to Doncaster Rovers before retiring and beginning a second career as a coach, taking up the chance of a job in Denmark to learn the trade. He was a fitness fanatic, and while he was in Denmark he also worked with British amateur boxers. After a while he returned to England and became a coach with Scunthorpe United, where he tried out some unusual methods such as trampolining sessions, which were his way of trying to keep players supple and fit. 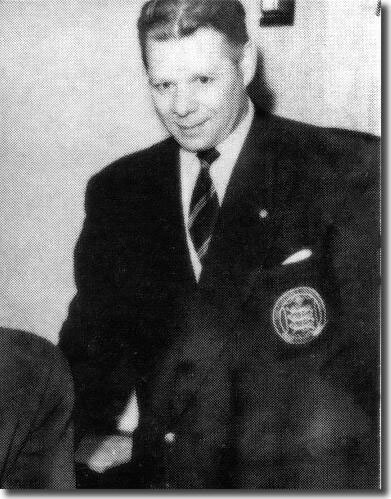 He came to the attention of Leeds United manager Raich Carter and in November 1957, accepted an invitation to move to Elland Road as trainer-coach, where he took over from the veteran Bob Roxburgh, who had been at Leeds since the mid Thirties, but now moved into the less demanding role of running the physiotherapy department. Leeds had sold star player John Charles at the end of the previous season and struggled for most of 1957-58. The unusual methods which Lambton tried to introduce to the players didn't go down too well with them and weren't a great success, but when the Leeds directors decided not to give Carter a new contract at the end of the season, they surprisingly turned to Lambton to hold things together while they sought a permanent successor. The club needed a leader who could take them on to bigger and better things, but Bill Lambton wasn't the man - his ill fated regime began depressingly with a 4-0 defeat on the opening day of the 1958-59 away to Cup holders Bolton Wanderers and struggled for most of the season. By 8 November, Leeds were third from bottom in the First Division with just 12 points from 16 matches, but before the end of the month Lambton had taken drastic action, forking out a fairly significant £14,000 to buy ex England inside forward Don Revie from Sunderland. 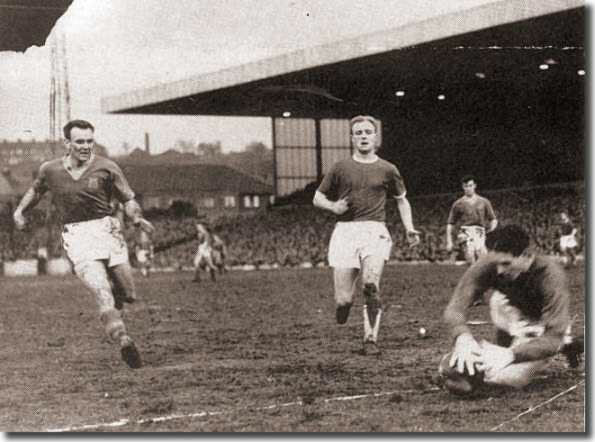 Revie made his debut in the middle of a four match winning run which saw the club rise to eleventh in the table and Lambton finally confirmed as permanent manager on 9 December 1958. Presumably, chairman Sam Bolton was unable to attract a bigger name to Elland Road and decided to settle for Lambton. The decision wasn't very popular with the players, however, and Lambton never won their respect. Jack Charlton: "An ex Army guy called Bill Lambton took over from Raich Carter. Bill was a nice enough man, but he wasn't a player, he wasn't a coach, he wasn't anything. If you ever saw Bill walking about he always had a piece of paper in his hand - nobody ever found out what was written on that paper, but it made him look as though he was doing something. "Bill was a fitness fanatic. 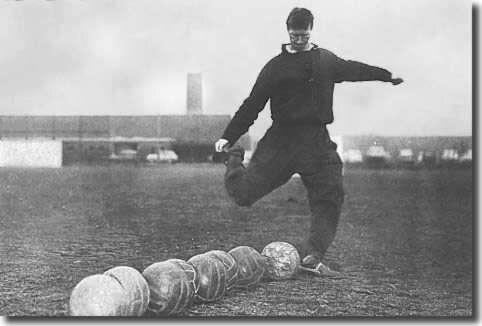 I remember one windy day, when we complained about the balls being too hard during a training session. Bill told us that anyone worth his salt ought to be able to kick balls in his bare feet and never feel it, so one of the lads said, 'Well, go on then.' Now Bill wasn't a pro, he'd probably never kicked a ball in anger in his life, and yet here he was running up to kick the ball in his bare feet, and of course you could see him wincing afterwards. This is the manager who's just been appointed, and he's making a fool of himself in front of his players. He finished up hobbling off the pitch, with all of us laughing at him. Bill never recovered from that day. "A few weeks later we had a meeting, and after some of the lads had their say, the chairman asked if we wanted the manager to leave - and every one of the players said yes. Bill said pathetically, 'If you let me stay, we'll have a new start,' but nobody said a dicky bird. He was sacked that same day. "I felt sorry for Bill. I didn't take him seriously as a football man, but I got on alright with him. I used to see him later from time to time when he was running a pub on the Leeds-Grimsby road, and he seemed much happier." Charlton's recollections of Lambton were echoed by Scottish full back Jimmy Dunn, who viewed him as 'a bloody comedian. ': "He had no experience. I remember he once took his boot off on the Fullerton Park training ground and said, 'You don't need boots when you're crossing a ball.' Eventually, there was a players' meeting in protest. It was a rebellion. Eric (Kerfoot) and I had complained about him. I can't remember exactly what we said but it came down to the fact that he couldn't manage the club." Things had gone downhill after the brief improvement following Revie's arrival and Irish captain Wilbur Cush stood down as captain, with Revie the unanimous choice to succeed him. Only days later discontent with Bill Lambton reached a peak. Grenville Hair and Jack Overfield both demanded transfers, Leeds slumped to a 6-2 defeat at Wolves and directors were expressing their dissatisfaction with the manager. The harsh words expressed by his players represented the final straw and Lambton chose to fall on his sword, claiming there had been 'interference ... in my training methods'. Few were sorry to see him go, and it had been an unpleasant time for both man and club. Lambton was not out of work for long, although his next job earned him a place in the record books for the shortest ever managerial career. He spent just three days in charge at Scunthorpe United in April 1959, although it was later claimed that the appointment had been only verbal, and never formalised, but Lambton was justifiably depressed by the way things were going for him. He took over as caretaker manager at Grimsby Town immediately thereafter and remained in the role until the following February. A couple of years later he re-emerged at Chester where he was manager from November 1961 to July 1963, before quitting the game and retiring to his home in Sherwood, Nottingham where he died in September 1976, aged 61.